Portugal is one of Europe’s oldest countries. Built on a past unique to the entire continent, Portugal offers its visitors numerous possibilities for enjoying an atmosphere and some landscapes which are unsurpassable, in addition to its widely-varied cultural riches. Travelers looking to get to know Portugal shouldn’t miss visiting cities like Lisbon, Portugal’s capital since the 12th century; Sintra, with its fairytale-like castles, gardens and palaces; Oporto, to tour its wineries and enjoy the city on the banks of the Tagus River; Aviero, whose Canals have earned its the nickname of “The Portuguese Venice”; Faro, the capital of the Algarve seacoast area, and many more destinations you can find thanks to the car hire search engine in Portugal offered to you by pepecar.com for enjoying an unforgettable trip at an unbeatable price. 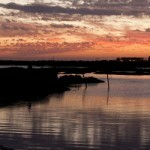 The city of Faro, in the Algarve region, is the capital of the district of the same name. This is a major tourist spot having an international airport and an unparalleled architectural heritage. 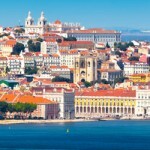 Portugal’s capital is also the westernmost point on the European continent. On the shores of the Atlantic, it becomes a northern port for the Tagus River. 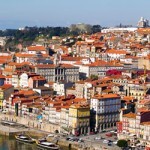 Oporto can be said to be Portugal’s second capital. Located to the north of Portugal’s lands, gathering the Douro River waters and channeling them into the Atlantic Ocean.